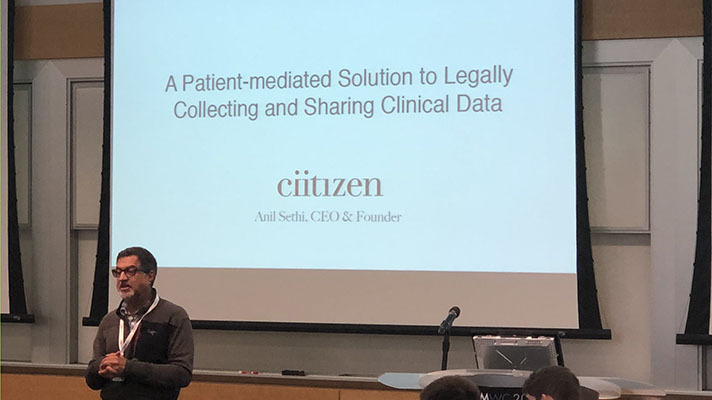 Ciitizen, the health records tech company founded by ex-Appler Anil Sethi, has raised $3 million from Andreessen Horowitz's a16z Bio Fund. While Andreessen Horowitz General Partner Vijay Pande confirmed the investment in a blog post, the amount was reported by CNBC and hasn't been confirmed by MobiHealthNews. "Our health information is ours by right (check the HIPAA Privacy Rule of 2000)," Sethi wrote in a blog post yesterday. "We have a right of access to our data — to all our data, not just what’s offered in the 'portal.' To make the best possible choices for our care, we should control it. If a company wants access to our data, they should ask us. ... And, hey, if you don’t want to share with anyone, that’s your prerogative. It’s not our data. It’s yours. That’s the difference between Ciitizen and everyone else offering 'patient-centered' care: access to your comprehensive data can only come from you. You can share. Sell it. Donate it. Or do nothing. These are some of the many choices you have as a citizen (pun intended)."